The Horfield Group has every aspect of your Tatts Lotteries retail outlet covered. From refurbishment and upgrades of existing stores, through to design and installation of brand new outlets, we pride ourselves on the ability to tailor our approach to meet the needs of all Tatts retailers – on time and on budget. To discuss your requirements and make the first step towards your new and improved Tatts retail outlet, give our Tatts specialist a call. Since 1994, Wollermann Business Brokers has been one of Australia’s leading brokers. The LeaseWise Group has earned its reputation by providing comprehensive leasing services across the country. Whether the task involves finding new premises, negotiating lease renewals, modifications, or settling a commercial dispute with your landlord we are uniquely equipped to advance and protect our client’s interests utilising our internal proven systems gained over the last fourteen years in all major shopping centres and shopping strips around the country. 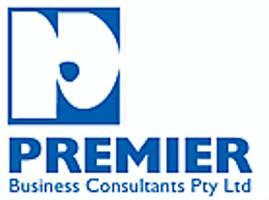 PREMIER Business Consultants offer over 28 years experience as business brokers and consultants to clients throughout Melbourne and country Victoria. Gibson Gifts have over 50 years’ experience in providing a comprehensive range of giftware and eyewear to Australian retailers. Gibson has thousands of product lines and delivers new and exciting products regularly to keep ranges fresh while our experienced national sales team provide expert advice. Workforce Guardian and The Lottery Retailers Association have formed a partnership to provide LRA members with access to professional and practical everyday HR advice and support. The Lott is licensed to sell lottery related products including Tattslotto, Super 66, Monday & Wednesday Lotto, Super 7’s Oz Lotto, The Pools, and Powerball in the Australian states of Tasmania and Victoria, as well as the Northern Territory and Australian Capital Territory.